Very little info about the context of this teaser is available as of now. Epic Games has published a short teaser for Fortnite: Battle Royale this morning. “Ruin is coming…” the company wrote. It published a dim picture of what seems to be a warrior in heavy armor with blazing eyes. The creature in the image, which seems human or is at least wearing human armor, is new to players. 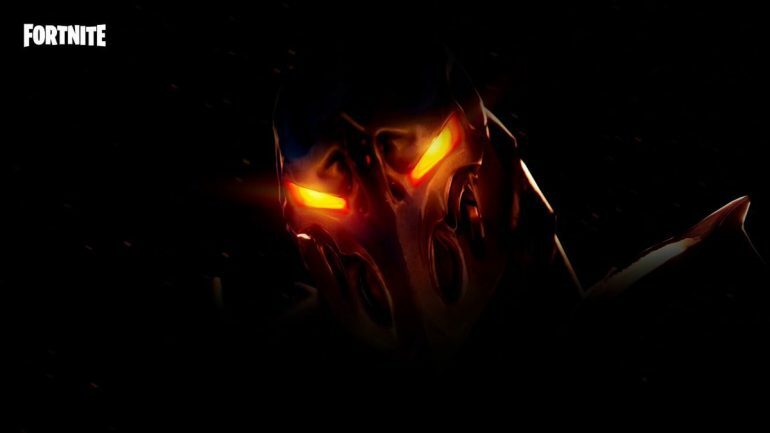 There’s no big event happening in the game that might give us clues about who’s in the image and what they’re going to change in Fortnite. Players have increased the lighting in the image to try to see the creature better. When doing so, it shows that the helmet the creature uses is apparently melted to some extent. Even so, it’s an unrecognizable face, and players have yet to learn who’s behind the helmet. There are a few things we can guess that are related to this teaser. One of them is the exclusive Legendary cosmetic item players can unlock in season eight after completing the Discovery challenges. With today’s challenges, players will be two weeks away from being able to unlock the Discovery skin—so Epic might be teasing it already. Aside from that, recent events about a helicopter flying around the island and excavations sites being dug up by players seem loosely related to what appears to be a warrior in heavy armor with fiery eyes. After all, it’s unclear what this teaser is about.